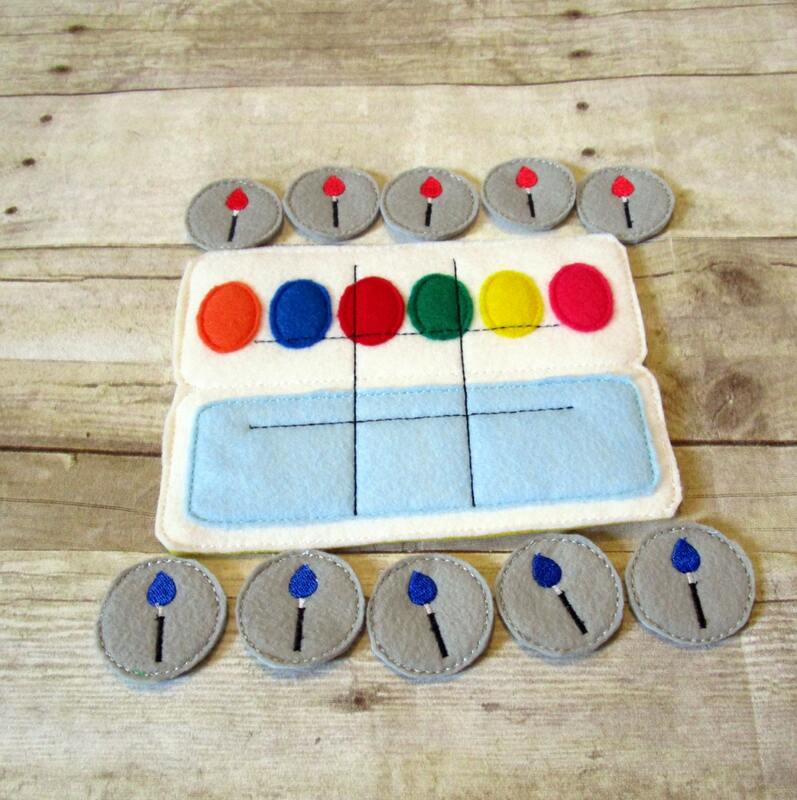 This listing is for a(1) felt, machine stitched painting set themed tic tac toe game. The game board is about 5x7 inches. This game would make a great gift for any occasion. 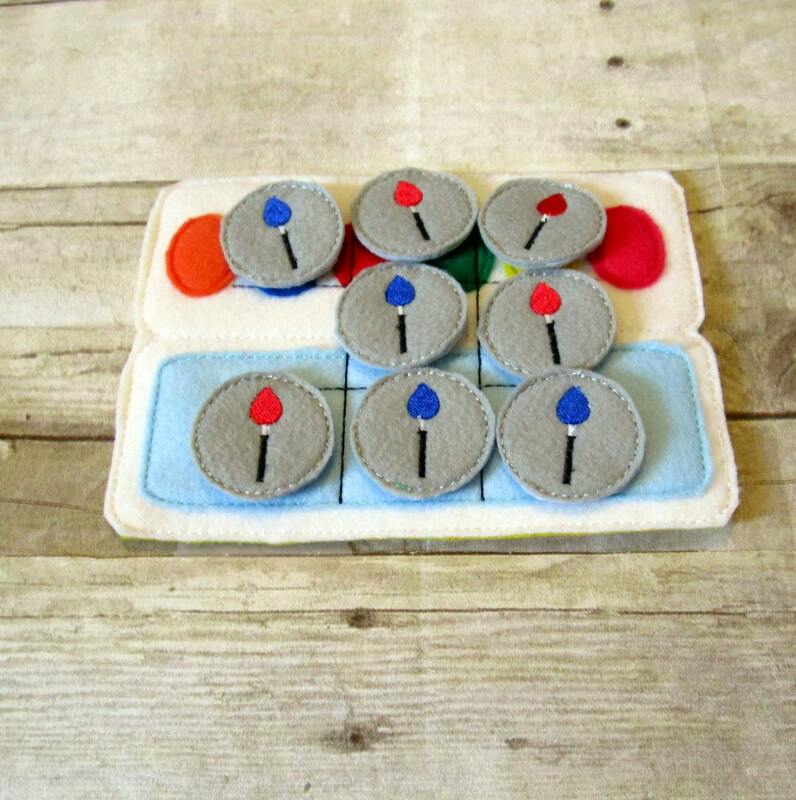 The paint brushes can be customized. Ships for free within 10 business days of payment.